What began as a fun elective in high school has become the career of a lifetime for Jon Miller, owner of Jon’s Fine Jewelry in Cocoa Village. This jewelry veteran has created a retail store that’s woven itself into the very fabric of the community, and he couldn’t be happier. After graduating from Bowman’s Jewelry Technical School in 1979, Jon took his first bench job at T.A. Anderson Goldsmith in Cocoa Village. Under the tutelage of the owner, Jon mastered wax carving and soon was allowed to create his own designs. Since then, Jon has modernized his design skills, using computer-aided design programs to create a wide variety of custom pieces. 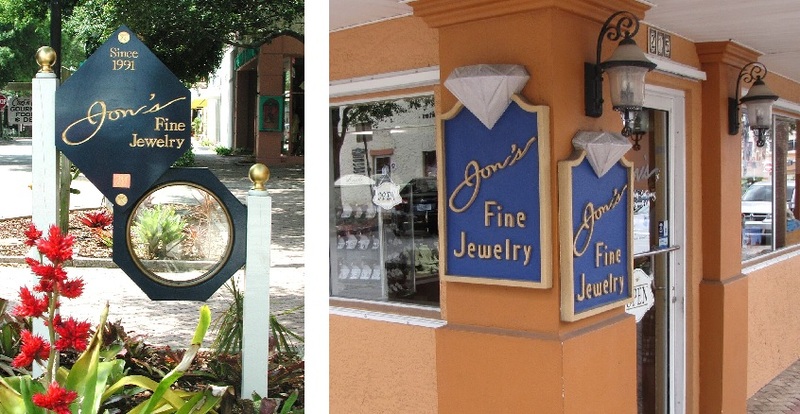 In 1991 Jon bought the store and five years later changed the name to Jon’s Fine Jewelry. He maintained the original location in historic Cocoa Village and slipped naturally into the role of owner. He focuses more on custom work and recalls with joy creating pieces that make his customers happy. Custom jewelry is just one of the many things Jon’s offers in the store in addition to jewelry and watch repairs and a wide variety of unique jewelry collections.